Lincoln is dead…assassinated. We take for granted today, perhaps, the weight of these words at a time when our country was so very young and mid-civil war. I suppose since JFK, our country has understood and acknowledged the possibility of a presidential assassination. During WWII, it seems the country loved FDR “like a father,” according to my Veteran grandfather. I recall visiting Spain during Bush 2nd term of office hearing little children yell their two known English phrases, “I love you” and “Hate Bush.” Security shut down half of Seattle a month or so ago when President Obama visited Bill Gates. Yes, times have changed since April 14th, 1865. 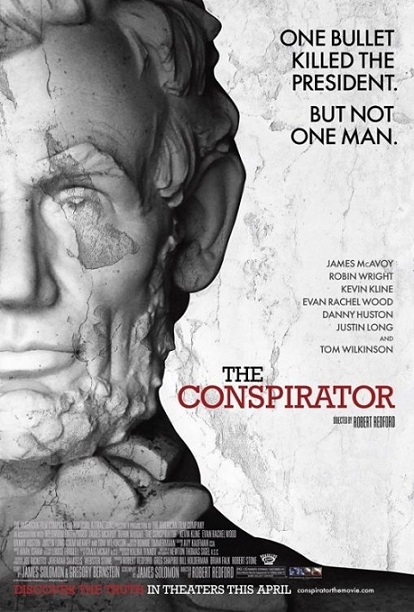 In this film, directed by the one and only Robert Redford, a bright young soldier/lawyer Fredrick Aiken (James McAvoy) brilliantly defends Mary Surratt (Robin Wright) in the court hearings following the murder of President Lincoln. This film hatched beautifully, opens my eyes to a scene from history which I recall filling only about a paragraph in my 8th grade History book. The witch-hunt continues and places a Mother on trial – a season of firsts in American history. 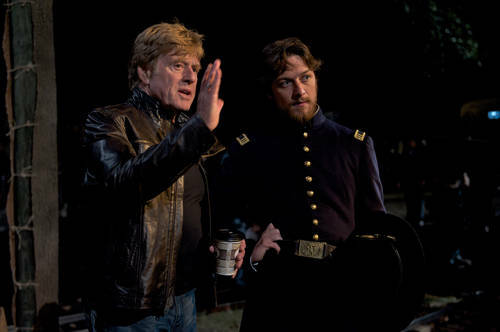 Produced by the American Film Company, this film boasts Historical accuracy. Fortunately the all-star cast and crew provide the frosting: a memorable, engaging, definitive story to support what would otherwise be a movie saved for that 8th grade history class. History alive now holds us more than accountable not to re-commit the mistakes of our past.